If addressed, will the railways be a better experience for the traveler? Thanks to over 20 million daily passengers, the Indian Railways goes through an intense scrutiny on a daily basis. However, it attracts greater attraction than any other government department on one day of the year, when the rail budget is being presented during the budget session of Parliament. Over the years, rail budgets have focused on multiple aspects like introduction of new trains, change in passenger fares and freight rates, passenger amenities, passenger safety and management of railway's assets and infrastructure. While the number of trains keeps going up every year, the IR's suffer from a serious lag when it comes to improvement of the railway experience. Over the years, multiple committees have been constituted that have given voluminous reports full of recommendations. However, there are many areas in which the performance of IR remains as it was decades ago. These problems still remain unaddressed today, even after the 2016-2017 budget was presented in Parliament on Thursday, 25 February. Anybody who has traveled on an train would be a witness of the squalor that our train stations are known for. The bigger the station, the filthier it is, with water and garbage on platforms and muck and human excreta on the tracks. It is a big put-off for travelers who have only learnt to live with the situation since it simply hasn't change. Its a major drain on the resources too, but even money hasn't been able to make a difference. 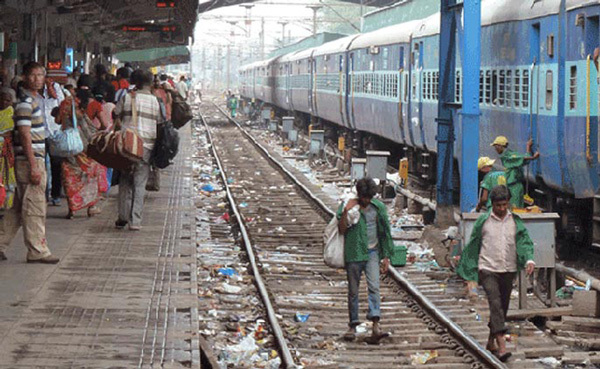 Western Railways alone reportedly spends nearly Rs 3.5 crore every year to keep its stations as well as trains clean. Last December, the National Green Tribunal slammed a fine of Rs 5 lakh on the railways for failing to keep the New Delhi station's tracks clean. The NGT said that it was beyond comprehension why railways failed to perform a merely supervisory function since contractors had been engaged for cleaning tracks and platforms. The tribunal also warned that it will impose a fine of Rs 1 lakh per day if things don't change. Stinking toilets have been the bane of the railways for a long time. The Railway Minister announced in the 2016-2017 budget the cleaning of toilets by request through SMS. If this works, only time will tell. The conventional toilets' basic design has itself been problematic. That itself leads to stench and filth in the toilets apart from the dumping of faecal matter directly on to the tracks. The IR's has been experimenting with various technologies to counter this particular problem, because of which Indian trains now have three different kinds of toilets, the conventional ones, bio-toilets and Control Discharge Toilets. The latest stress is on "bio-vacuum toilets" that send the flushed-out waste into a tank underneath the coach. The tank contains bacteria that turn faecal matter into water and gas, which is then discharged on the ground or tracks. Such toilets have so far been installed on a trial basis in one coach of the Dibrugarh Rajdhani. It's learnt that after the successful completion of trials, 80 such toilets will be installed in the Shatabdi Express. Let us hope this new technology will free the toilets on our trains from stench and filth. Any frequent traveler on India's trains will find it hard to instinctively agree to the government's claim that it runs 78% trains on schedule. 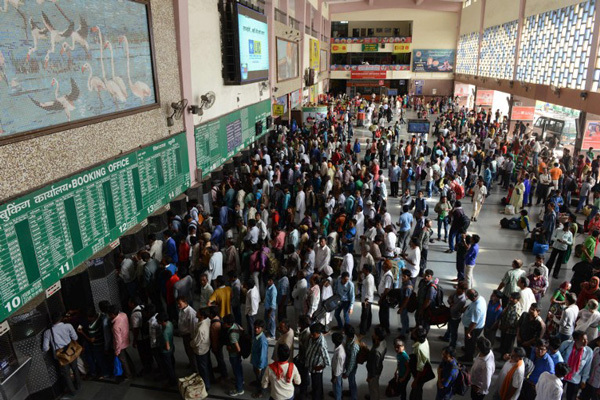 The government gets this number by calculating punctuality after a train has completed its journey. It does not factor in delays before completion, which is a major error since many trains run late for several hours and make up for the delays towards the end, reaching the destination on time. However, anecdotal evidence suggests this figure appears fudged based even on this parameter. Most common factors that delay trains include capacity constraints because of increasing traffic, weather conditions like fog and rains, heavy road traffic at level crossings and run-over cases at these crossings. Several committees have been recommending capacity augmentation for years but the railways are yet to catch up. IR's blame the law and order problems like public agitations, theft of railway assets and natural calamities like floods, cyclones etc. These problems are not everyday occurrences and can not be looked upon as regular factors that delay trains. IR's has also admitted that equipment failure like signal malfunction, rolling stock breakdown, overhead equipment failure etc contributes to punctuality loss in a big way. However, railway engineers do not accurately report all such instances. Will the platforms be manoeuvrable or not. Redevelopment and modernisation of stations was a key area of thrust for the Sam Pitroda-led expert group that gave its report in 2012. The panel had recommended investing Rs 1,10,000 crores over 10 years for this purpose. Some of IR's longest routes stretch up to 72 hours, underlining the need for good catering facilities on-board. Even for shorter distances, it is common for passengers to travel for 12 to 20 hours at a stretch several times a year. However, the quality of the food and drinks that railways makes provision for leaves much to be desired. Read more- #RailwayBudget 2016: How will Suresh Prabhu balance fare hike demand with aspirations? The menu is standard and the food is of low-quality. Tales of uncooked chapatis, semi-cooked rice, stale veggies and infection-inducing chicken curry are common. A visit to the pantry coach is bound to kill any appetite right away. IR has recently begun tying up with restaurants, taking orders on-board and picking them up at stations. It is still at early stages and makes no difference on direct routes that have only technical stops. 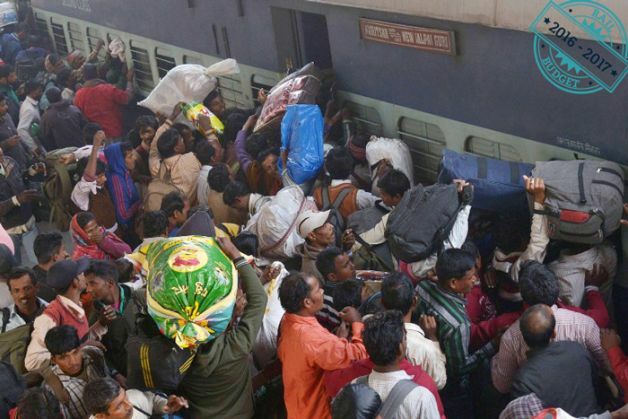 Rail journeys are the stuff of folklore in India. Mahatma Gandhi's mentor Gopal Krishna Gokhale is said to have advised him to tour the entire country by train to understand the huge landmass and its people. Young children of poor to middle-class families get excited at the mere mention of a train journey. Youngsters traveling in groups are often found singing and playing music during the journey, bringing smiles on the faces of the strangers who are their co-passengers. This romance is regularly interrupted thanks to the poor service that the national provider has become synonymous with. Even as we have begun chasing bullet trains, the average passenger aboard an Indian Railways train is only waiting for that day when this romance will be consummated, unhindered. Watch the Budget roundtable 2016: how to read the Indian economy?